It can happen in a split second and the outcome can be very severe. A person can pull out in front of you and cause an accident before you can react. That is why you need to find a montgomery car accident attorney before you drive on the road. Car accidents happen all the time in Montgomery County, Texas with the causes ranging from negligence to vehicle failure to driving under the influence to driver distractions like cell phones, and other driver irresponsibility instances. If you have recently been injured in a car accident in Montgomery County Tx, you may be researching what to do next. You may question if you need a lawyer for your case. You may believe that if you deal with the insurance agency yourself, it will be less complicated and easier to resolve. 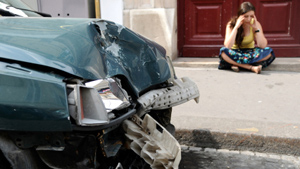 You have a lot to gain from speaking with an experienced car accident attorney. Speaking with a lawyer will provide you with the information you need to understand your case. Doing research online is great for learning about car accidents and car crash lawsuits, but speaking with an attorney gives you the knowledge you need to move forward with your claim. If you have been seriously injured in an accident, the last thing you need to do is file paperwork. We take care of our clients by handling all of the necessary paperwork filings so we can move forward with your personal injury case. Your initial consultation with our law firm is free. The Montgomery Car Accident Attorneys of Gary S. Tucker & Associates will work with you to learn about your accident and will answer all of your questions. Our Law Firm has worked on many Car Accident cases in Montgomery over the years. We have the experience and knowledge to build and win your case. We want you to be able to site back and recover from your injury without thinking about the stress involved in an accident.